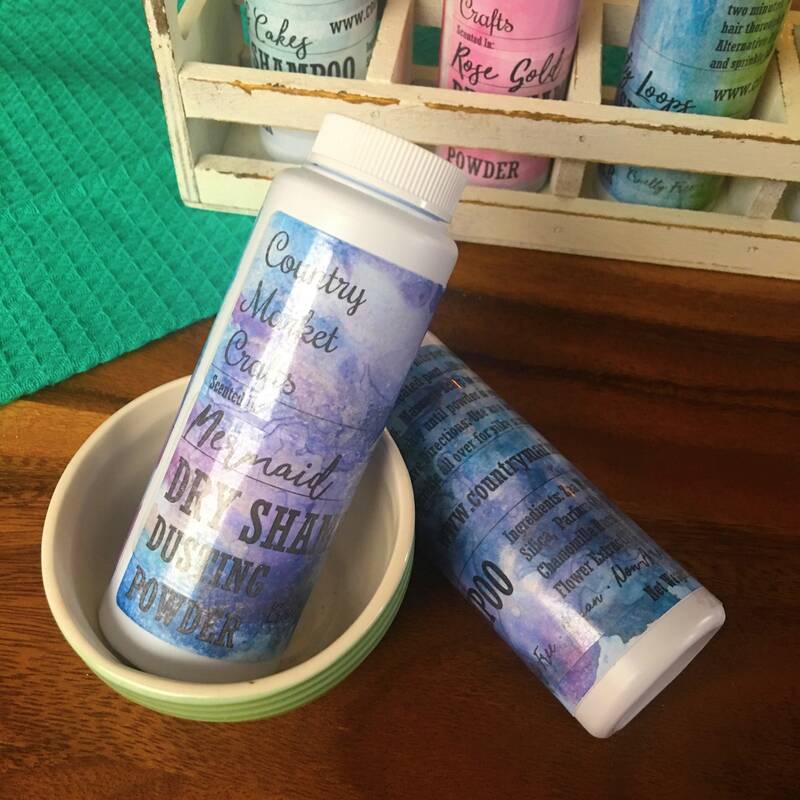 Mermaid - An inspiring blend of fresh sage and sea salt backed by white washed driftwood will transport you to a place of natural harmony. Directions: Divide hair into sections. Lightly shake product along created part. Allow powder to set for two minutes. Massage scalp to create volume. 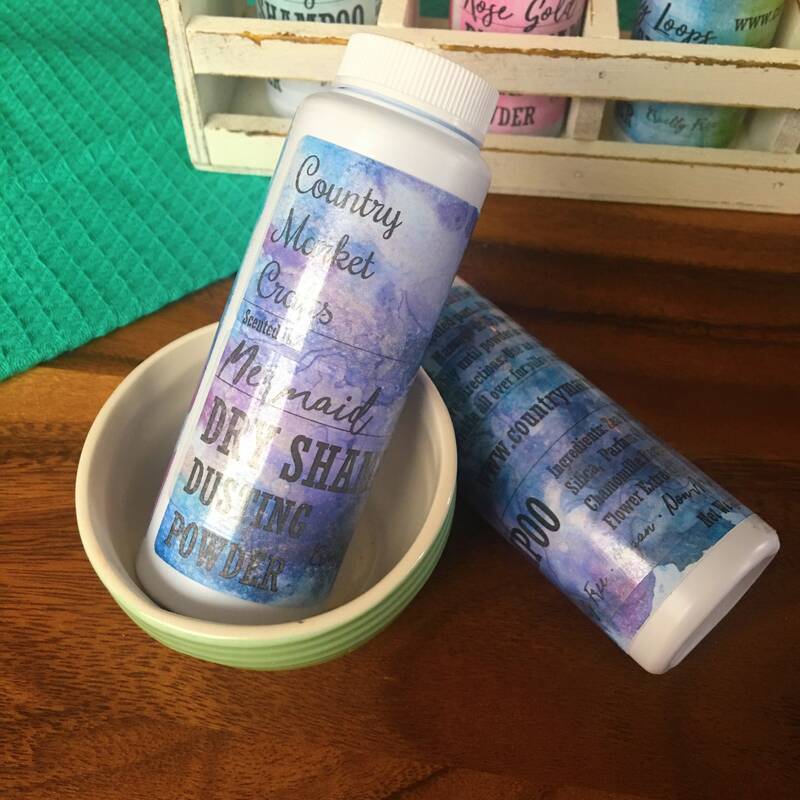 Brush hair thoroughly until powder is evenly distributed. Alternative Directions: Use as a body dusting powder and sprinkle all over for silky scented skin. Ingredients: Zea Mays (Corn) Starch, Silica, Parfum (Fragrance), Chamomilla Recutita (Matricaria) Flower Extract. 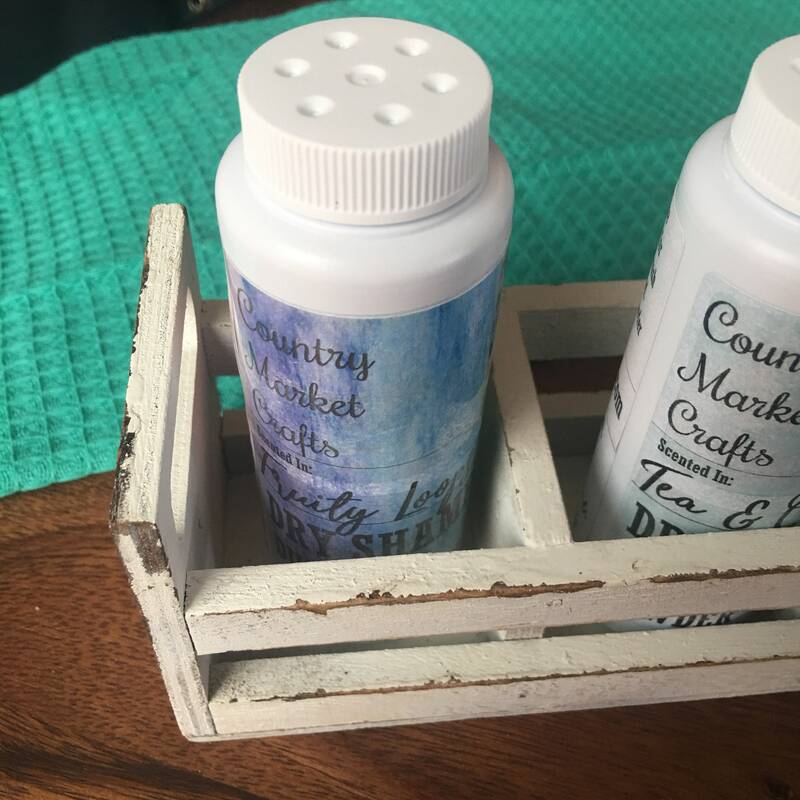 When Country Market Crafts first started in 2014 we made it our mission to make the most awesome skin loving bath and body products on the planet. Using only the best most sustainable ingredients! This product is great - it does work well. I just had to cut open the top of the dispenser, as the powder is too thick to come out properly. I personally apply it with a foundation brush to the roots and it works very well this way. Since the product is fantastic, I'm keeping it at five stars!